Located in the Kinsmen Lodge, the Dining Hall has 1,700 square feet of space and doubles as activity space for up to 90 people. 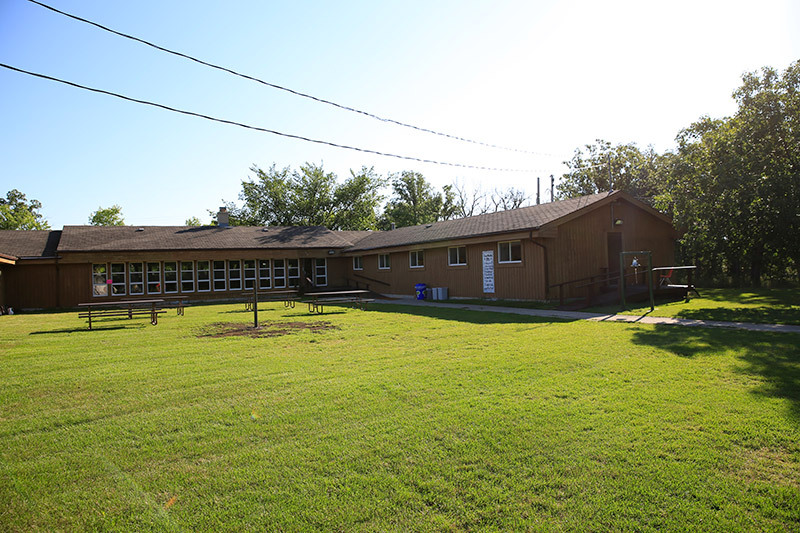 The lodge can be utilized as a dining area, conference room, and multipurpose. This is the perfect place for break-out sessions, hanging out, and enjoying a fire. South facing windows allow for natural light and a view of the field, forest, and wildlife outside. 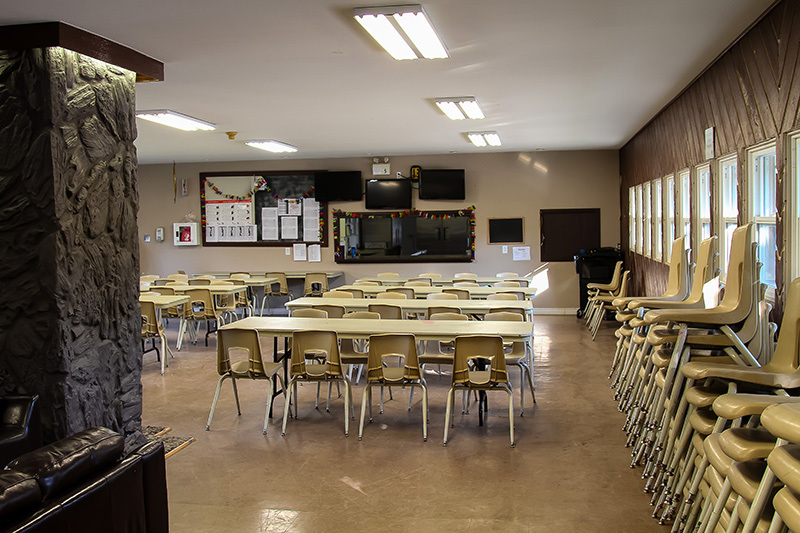 The Kinsmen Lodge is a year round, wheelchair accessible facility with a fully-equipped commercial kitchen, dining hall, bedrooms furnished with bunk beds, and a cozy sitting area by a large fireplace. The lodge sleeps 40 people in 10 rooms of four down one main hallway. 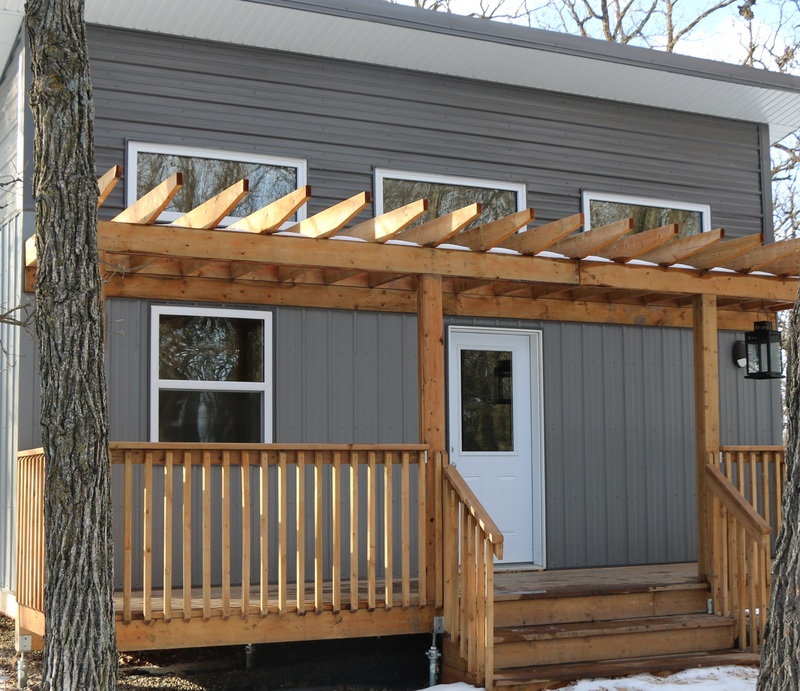 The Camp Manitou facilities offer running water, showers, and wheelchair accessible washrooms. There is no air-conditioning available. The water on site is safe to drink and use for cooking. The kitchen is fully equipment with a large refrigerator, a deep freezer, a commercial range and grill, two ovens and 4 elements, a commercial convection oven, a commercial dishwasher and a microwave. Casual table settings and other dishware and cutlery are also available. The gym is a multi-purpose facility with 3,000 square feet of open floor space which can be divided into three areas by curtains for up to 100 people. The gym is an ideal space for indoor games/activities, rainy day programming, classes/meetings and a variety of functions (such as receptions, family reunions, and birthday parties). Surrounding the gym on three sides are large windows which allow for natural light and summer breezes to enter. A covered veranda encourages outdoor activities. Also outside, just in front of the building is a sports pad with basketball hoops. Come cool off from the summer heat in our newly heated pool! 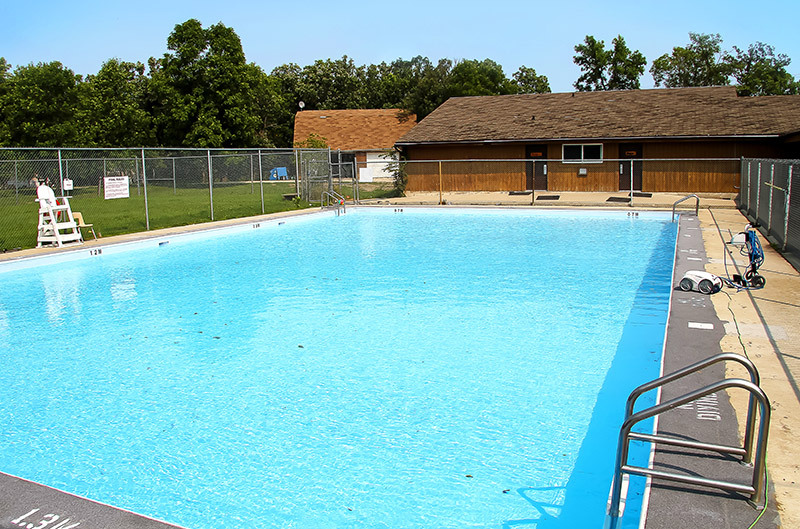 Camp Manitou has an outdoor pool that is open during the summer months, subject to weather conditions. 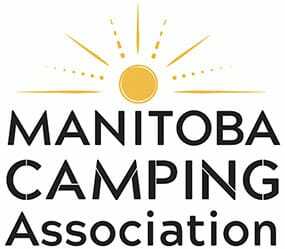 The pool is available according to Manitoba health regulations and Camp Manitou policies. A lifeguard must be present at all times. 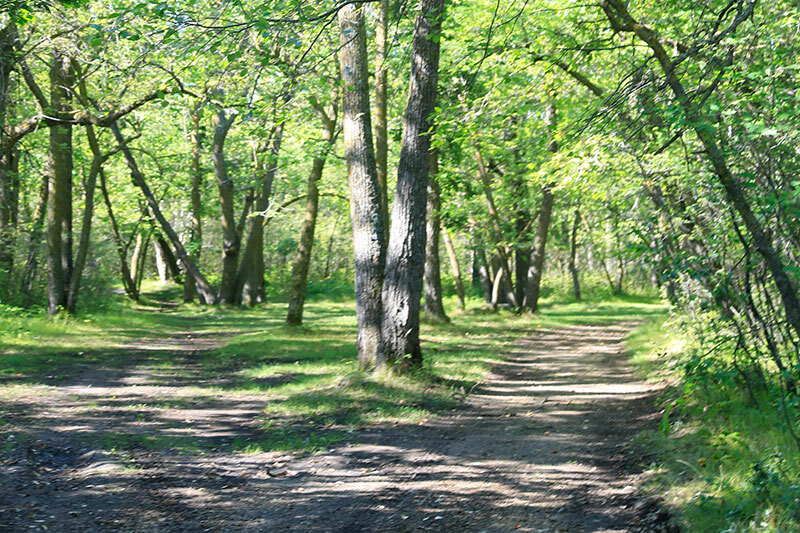 Come take in the natural beauty of Camp Manitou on our 28 acre oasis. Just five minutes outside of Winnipeg, you would never know you were that close to the city when you are walking our trails and taking in the natural beauty. The grass field where you can play games is conveniently located just outside of the Kinsmen Lodge. New to Camp Manitou summer 2016. 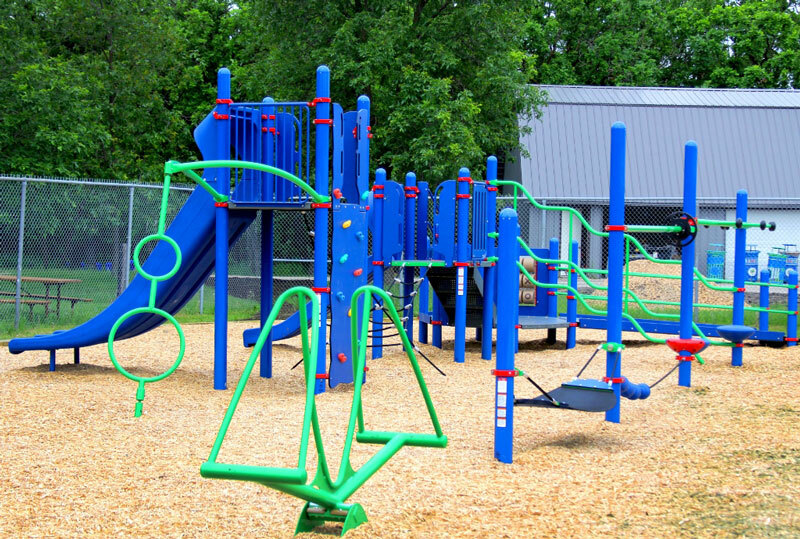 Our play structure is fully accessible and conveniently located right beside the pool and green space for free time play. New to Camp Manitou, as of summer 2017, we now offer 12 stand alone cabins as a place to stay! Cabin #2 sleeps 10 people, while all other cabins sleep 12. Cabin #1 and #3-12 are equipped with 5 bunk-beds (sleeps 10 people) and 2 single beds, along with a table and bench style seating. Cabin #2 has 4 bunk-beds (sleeps 8) and 2 single beds. Each cabin includes a separate changing room area and storage bins for your bags. Located in front of the Kinsmen Lodge, attached to the Skate Shack, this official NHL size rink provides program participant’s a new experience & a lot of fun! 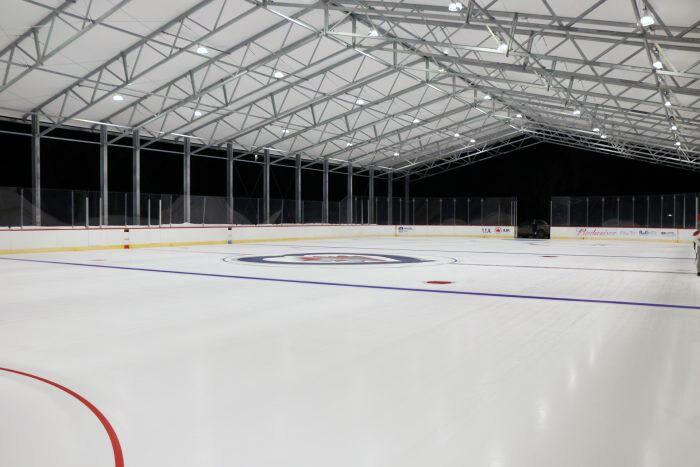 Due to the rink engineering, we are able to utilize the ice until early Spring. Once melted, the rink will serve as an activity area, shaded space, and rain barricade for our summer campers! 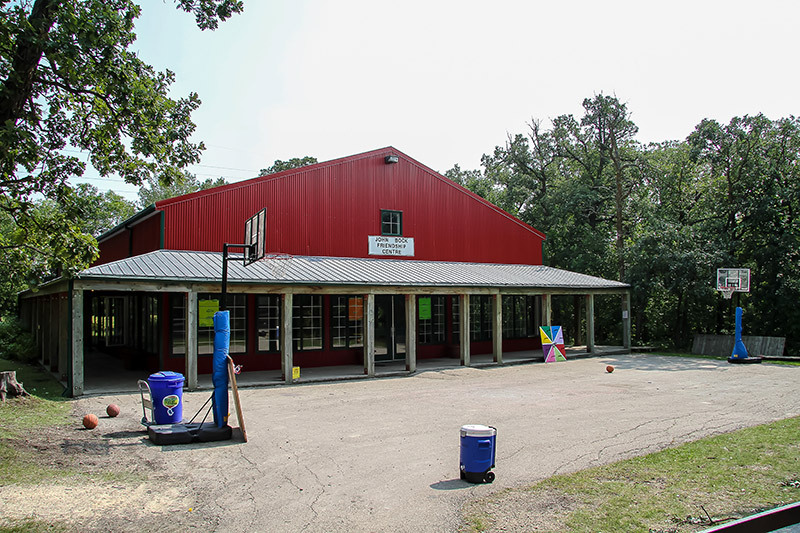 This rink serves numerous True North non-profit children’s programs, as well as Camp Manitou programs. It is currently not available for day pass or individual rental use. 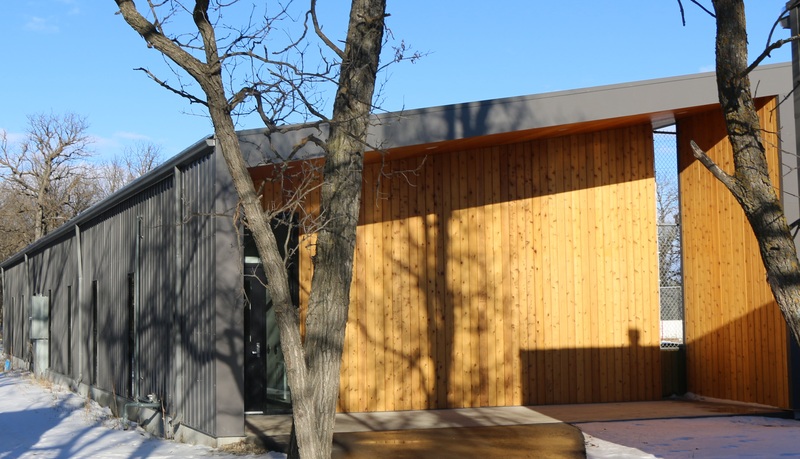 Located in front of the Kinsmen Lodge, the new Skate Shack houses 2 dressing rooms that have direct access to the rink. This is also where overnight cabin visitors are able to use showers and washrooms! This is the perfect place to warm up when taking a break from the skating rink.